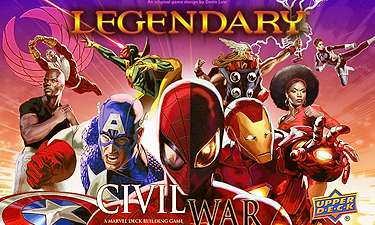 War has come to Legendary: A Marvel Deck Building Game. A disastrous accident, killing hundreds of innocent bystanders, has occurred and in the aftermath the Superhuman Registration Act was created. Will you join Iron Man's cause and support the act or will you side with Captain America and protect the identities of the heroes? Never before have Marvel's mightiest heroes been so divided.